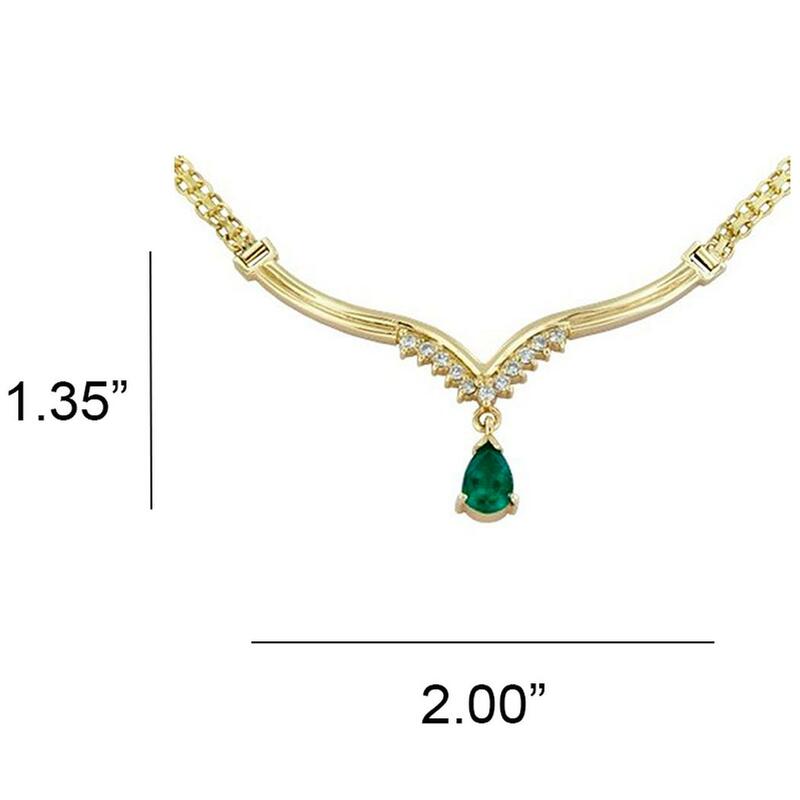 This wonderful emerald and diamond necklace is a classic style in jewelry; is custom made by hand in solid 18K gold with a stunning pear shape emerald and 11 round cut diamonds. 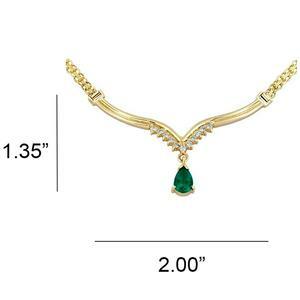 The emerald has a wonderful quality that creates a beautiful deep green color full of life and wonderful brilliancy. 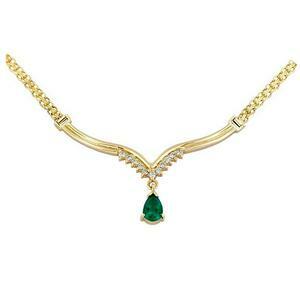 The diamonds at the top of the emerald make a fantastic touch and take the whole necklace to a very elegant level. 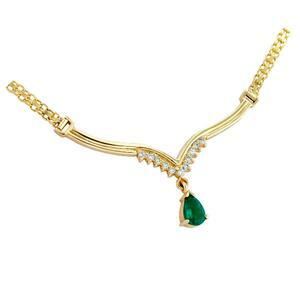 This wonderful emerald and diamond necklace is also available in white gold.